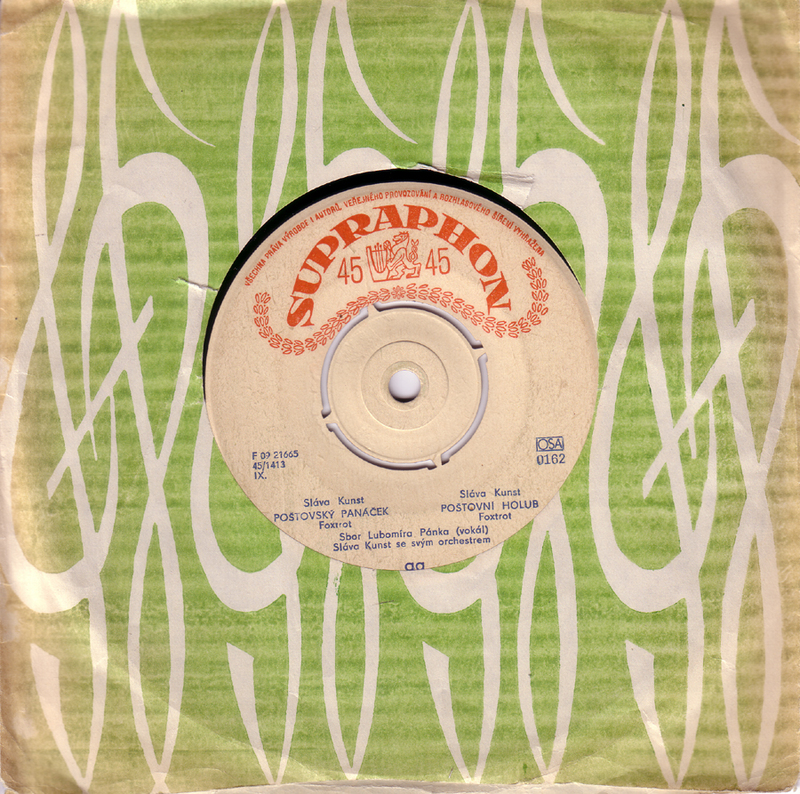 The Olympics, or simply Olympic, from Prague were and probably still are the most well known Czech rock´n´roll group. 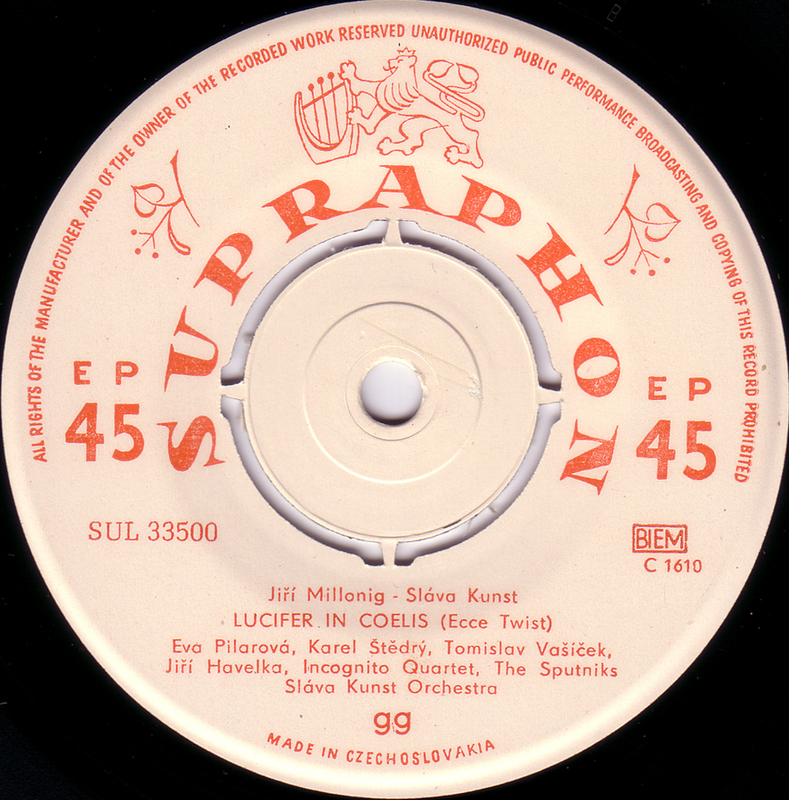 I collected most their early 45´s in the 90´s when the East-Berliners threw out their old records to make room for new CD´s from the West. This is not among Olympic´s best records but pretty much their funniest. 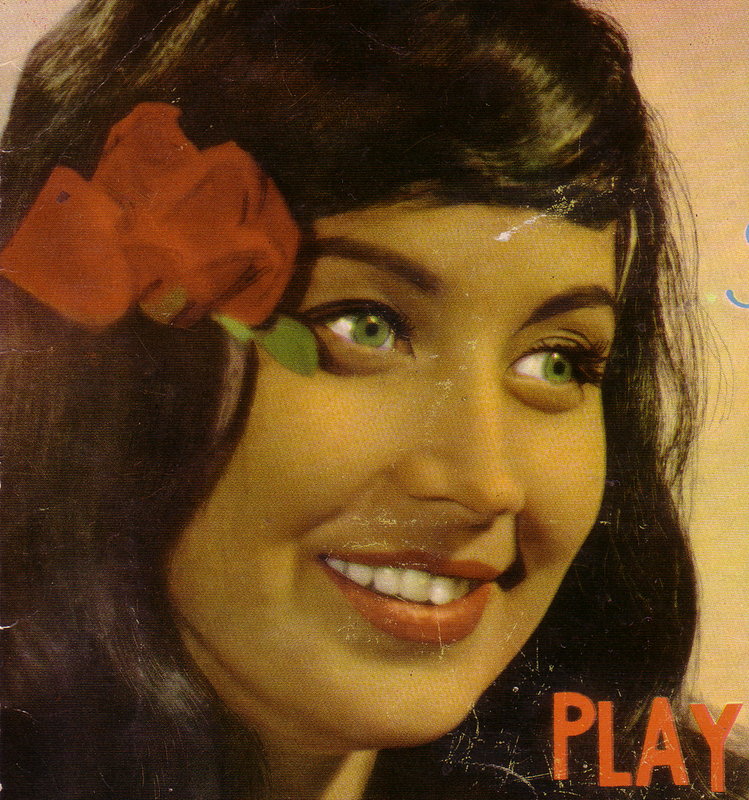 Pavel Bobek played with Olympic from 1963 to 1965 and then went on to become one of Czechoslovakia´s most popular country music stars in the 70´s and 80´s. 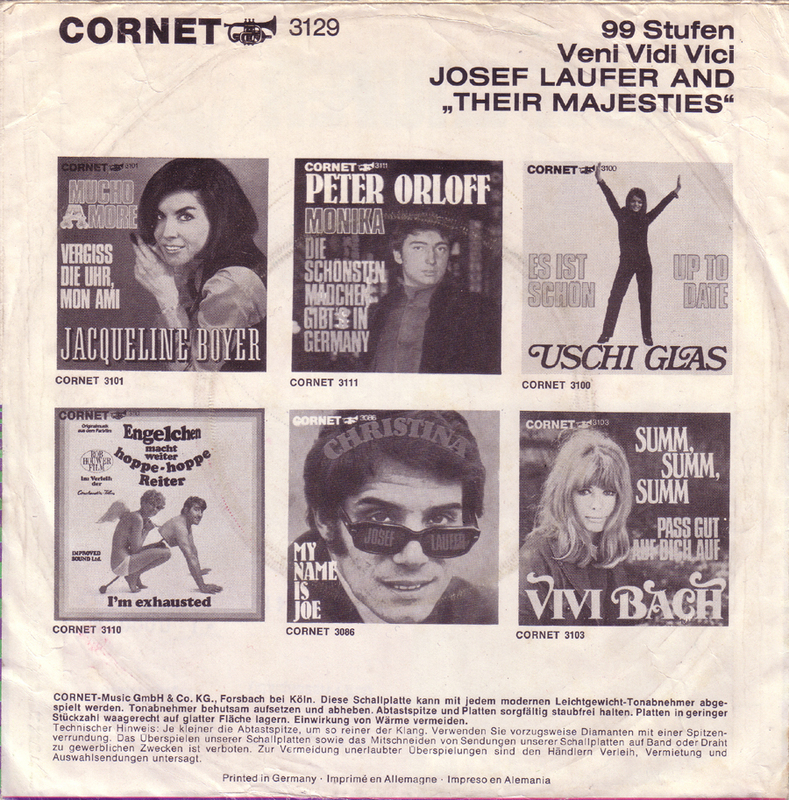 Josef Laufer was one of the few artists ( like Karel Gott, Waldemar Matuska, Vaclav Neckar, Hana Hegerova) from Communist Czechoslovakia who got to record in Western Germany. 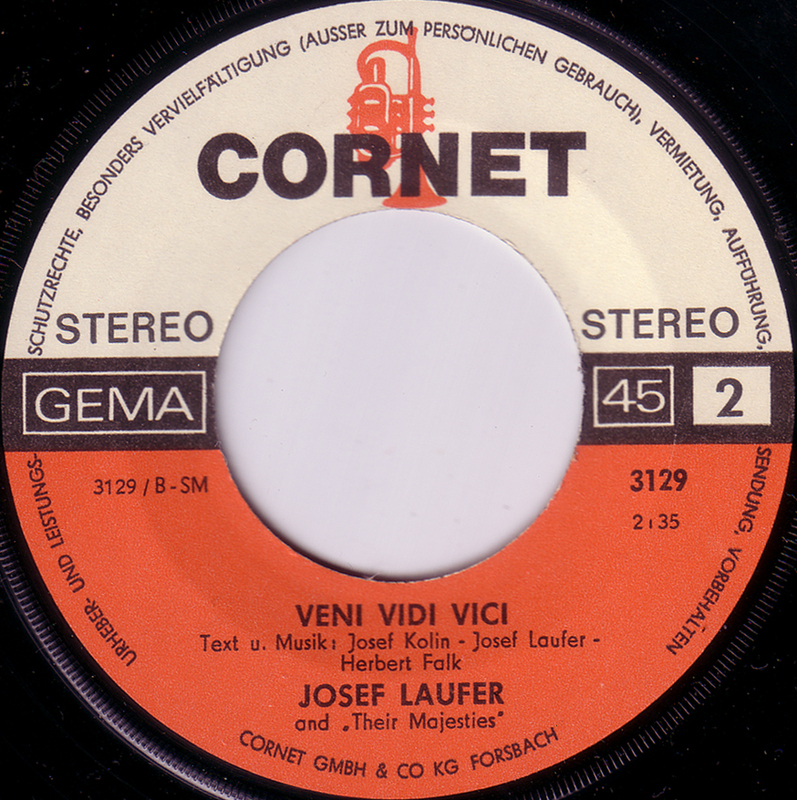 Of course they also recorded and performed in East-Germany, a socialist brother-country. 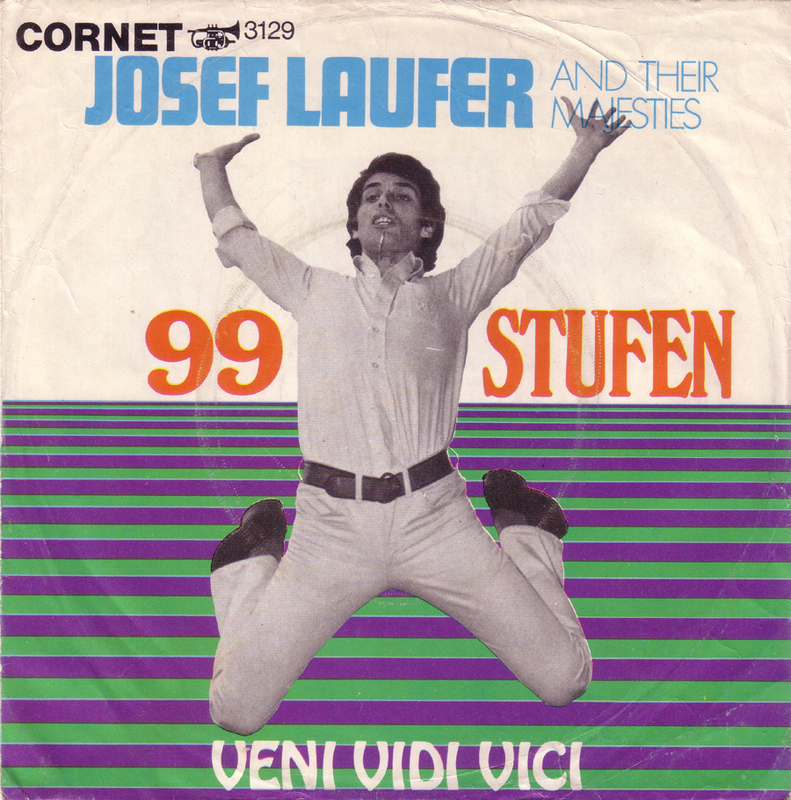 I have four of Josef Laufer´s early EPs that he made for the Czech Supraphon label, and even one on the Romanian Electrecord label, but none are as rockin´ as these two songs here, that he sings in German. 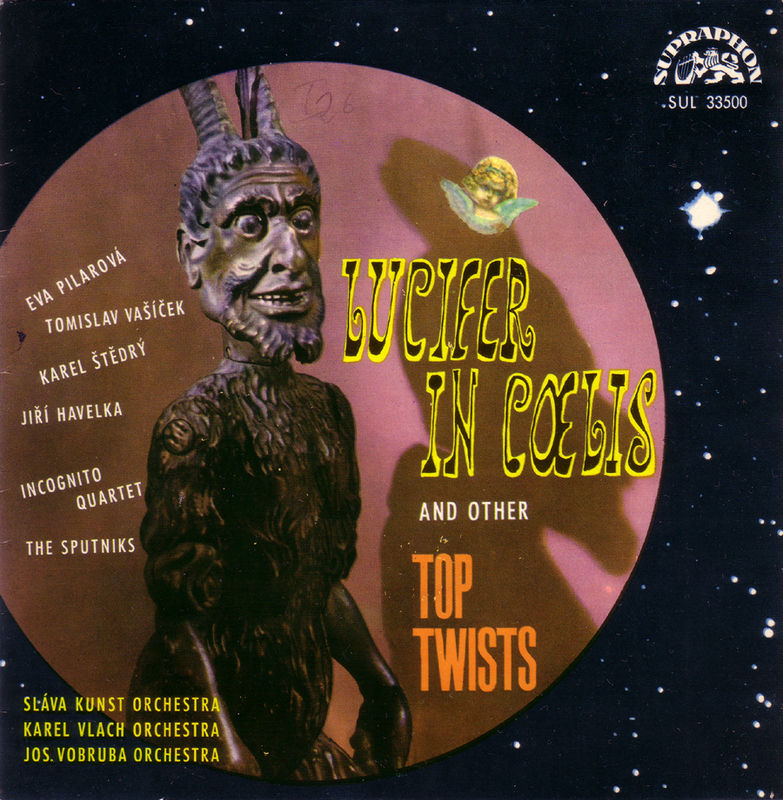 “Lucifer in Coelis” was lifted from obscurity by the Surfbeat behind the Iron Curtain bootleg-compilation that Dionysus records put out in the 90`s and is now known as the East-European Twist/Instrumental-Novelty song. 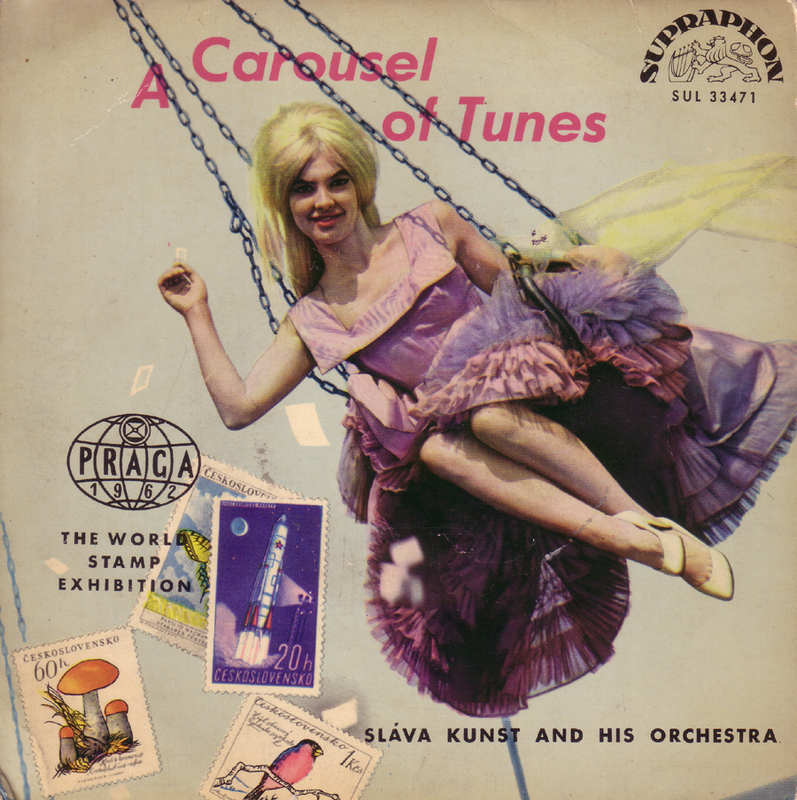 The Slàva Kunst Orchestra backed many Czechoslovak artists in the 60`s and recorded a whole lot of records in all kinds of musical styles. 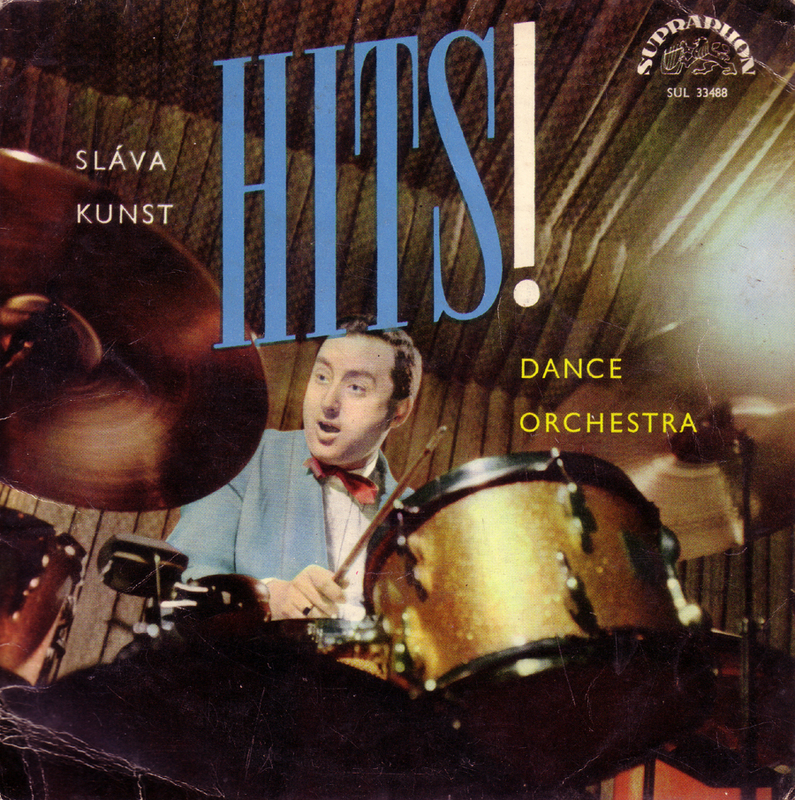 Slàva Kunst was among the most well known Czechoslovak Orchestra leaders throughout Eastern-Europe. 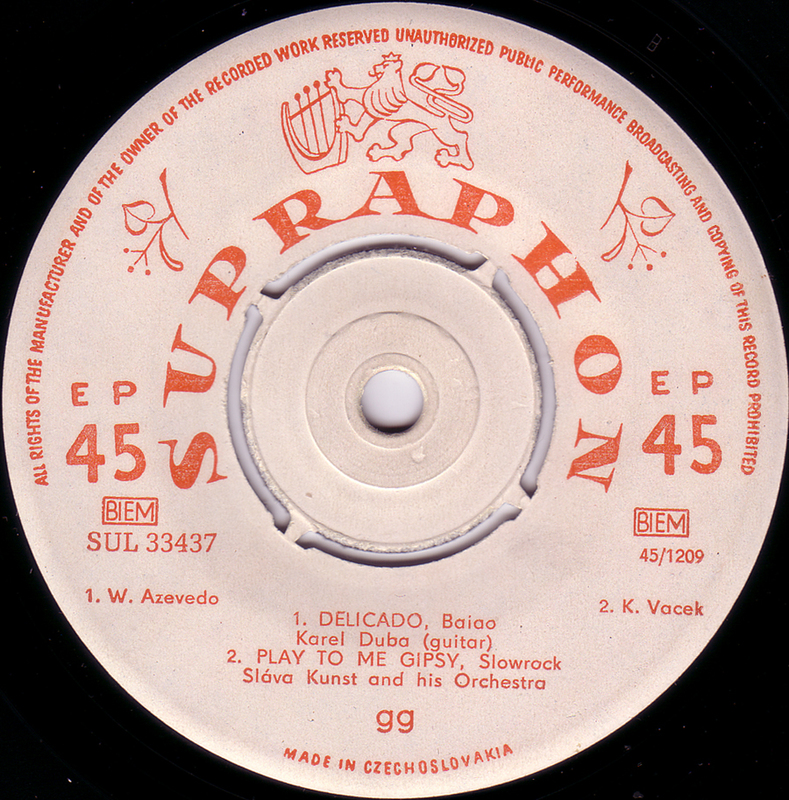 “Delicado” is a Brazilian guitar-standard written and recorded by Waldir Azevedo in 1950. 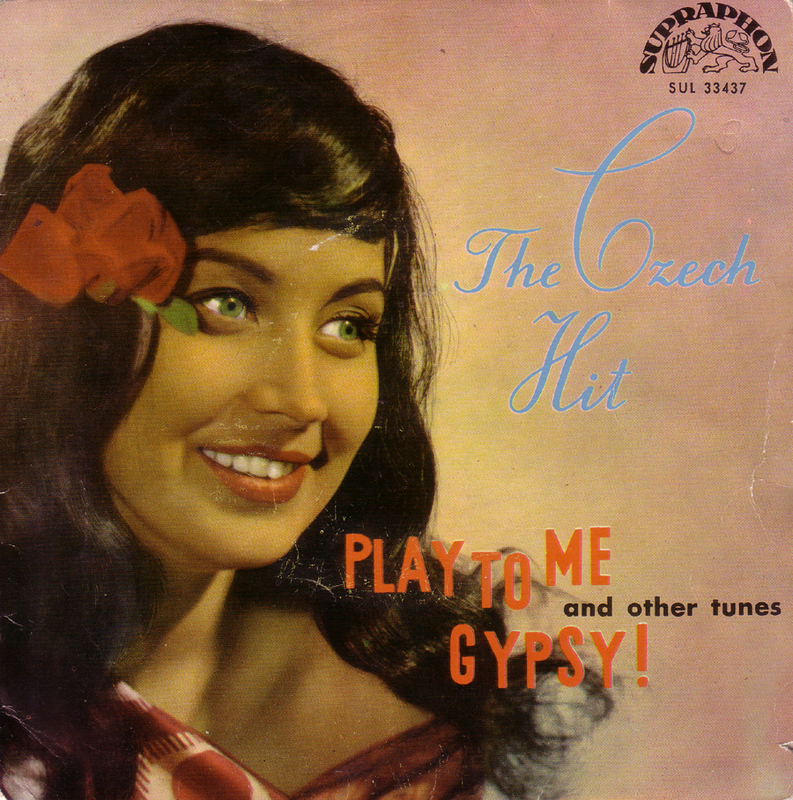 The Sláva Kunst version is a nice Latin-American/Rock`n`Roll blend. 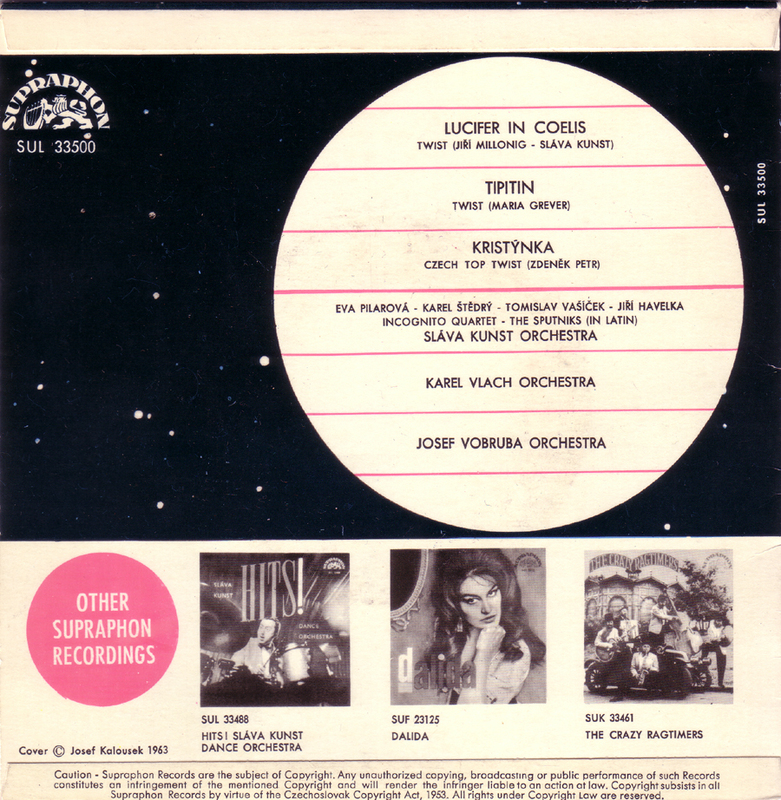 The guitar-player on this record is Karel Duba. 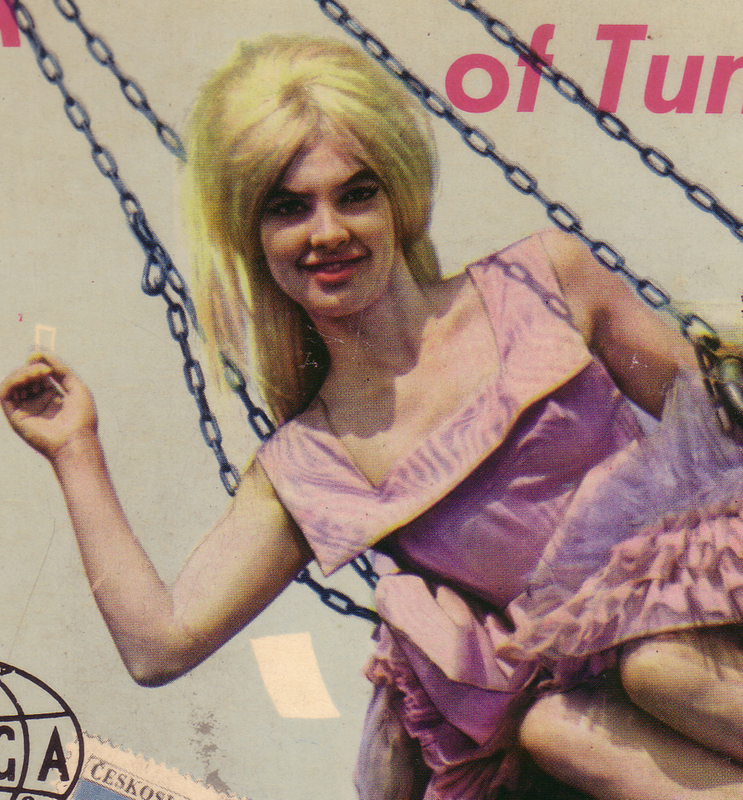 Duba was the leading Czech Rock´n´Roll instrumentalist of the 60s. He played in the Sláva Kunst Orchestra but later left to start his own group. 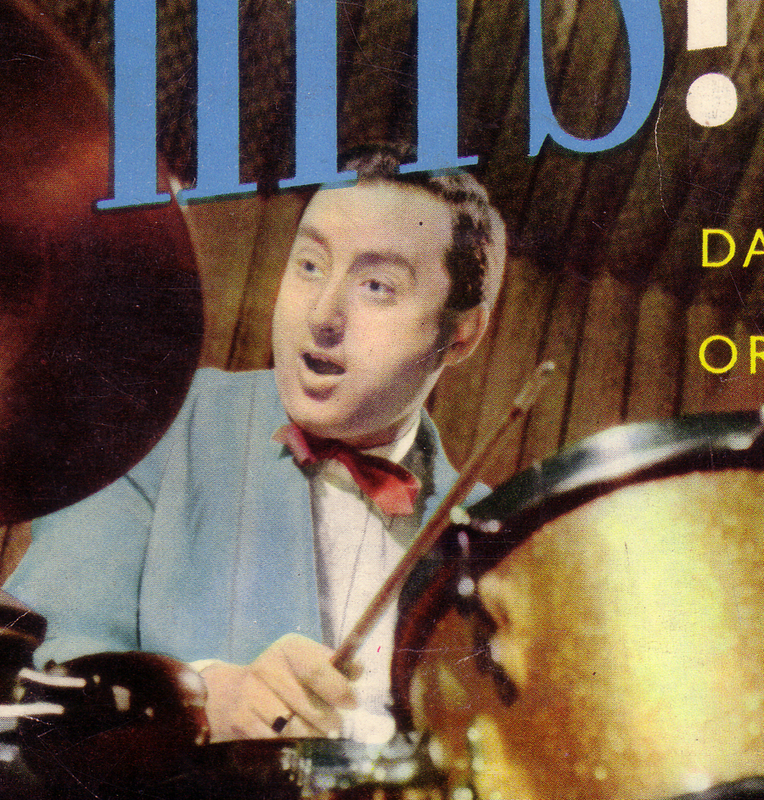 Just like Sláva Kunst, Karel Duba`s music has not been re-released comprehensively yet. 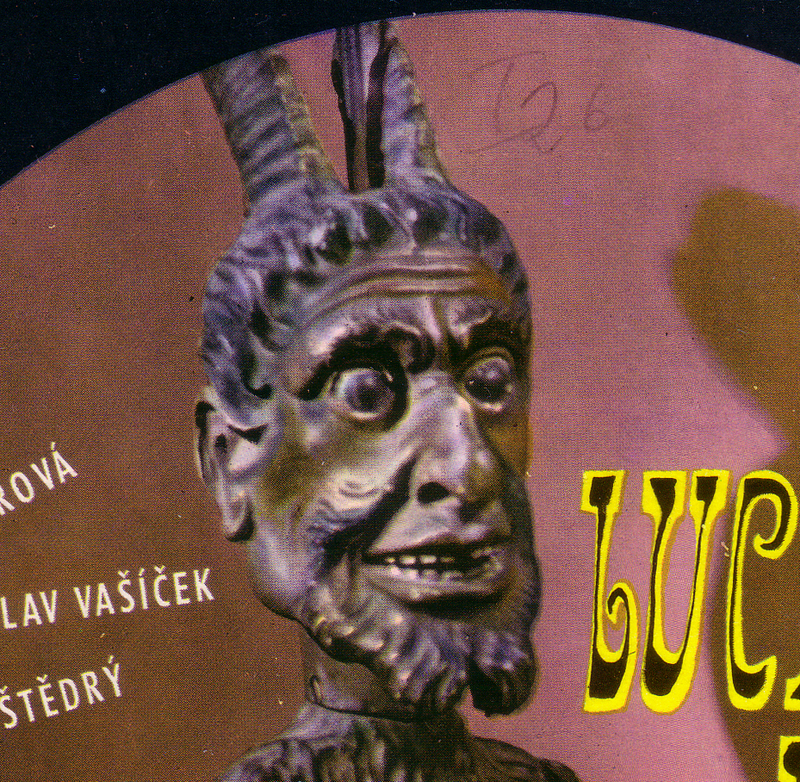 I could probably fill this blog with Czechoslovak records exclusively but I don`t feel competent enough to do so. For example: Who is this behind the drums ? I don`t know. I bought all of these records in Berlin! 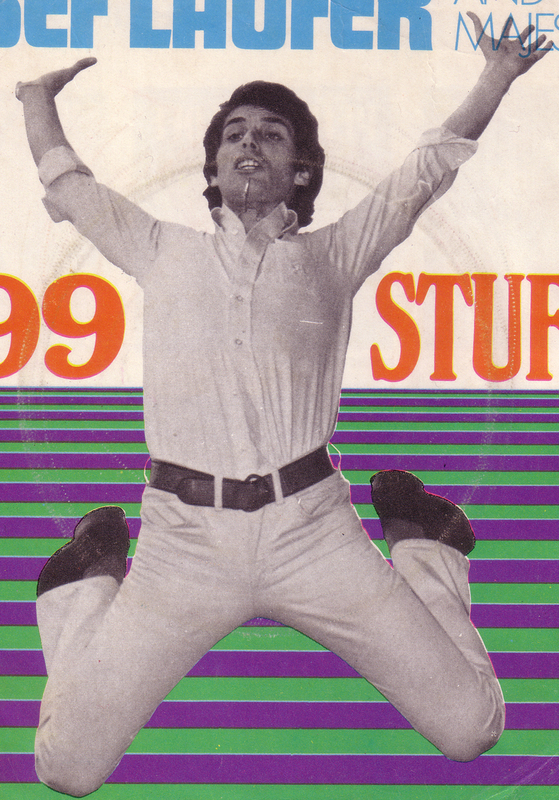 These records all came here once from other Socialist Brother States. 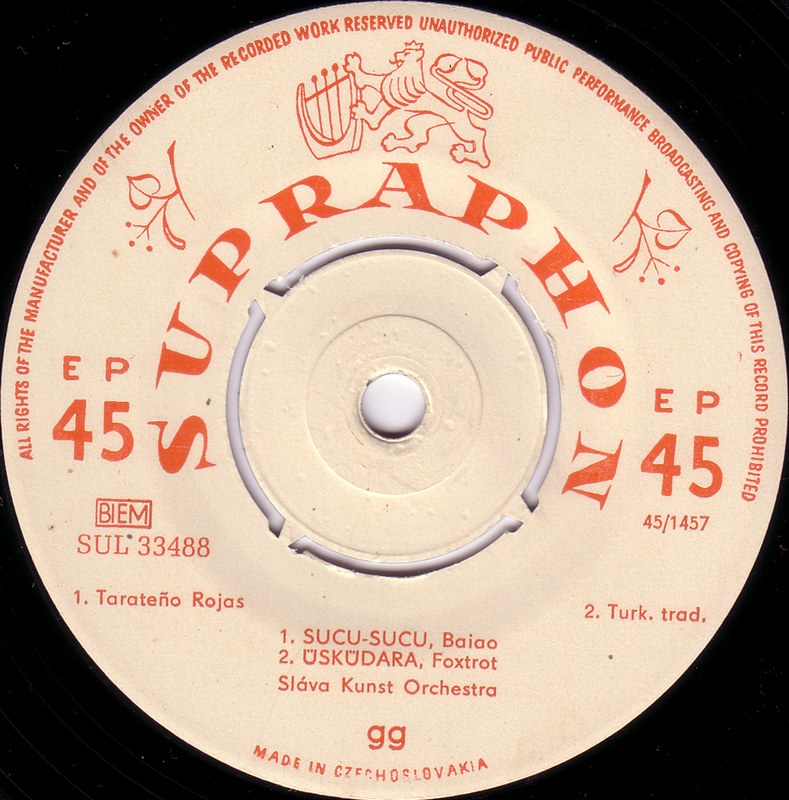 On my sole visit to Prague a couple of years ago I bought a lot of Supraphon 45`s but not a single one with a 4-color sleeve. 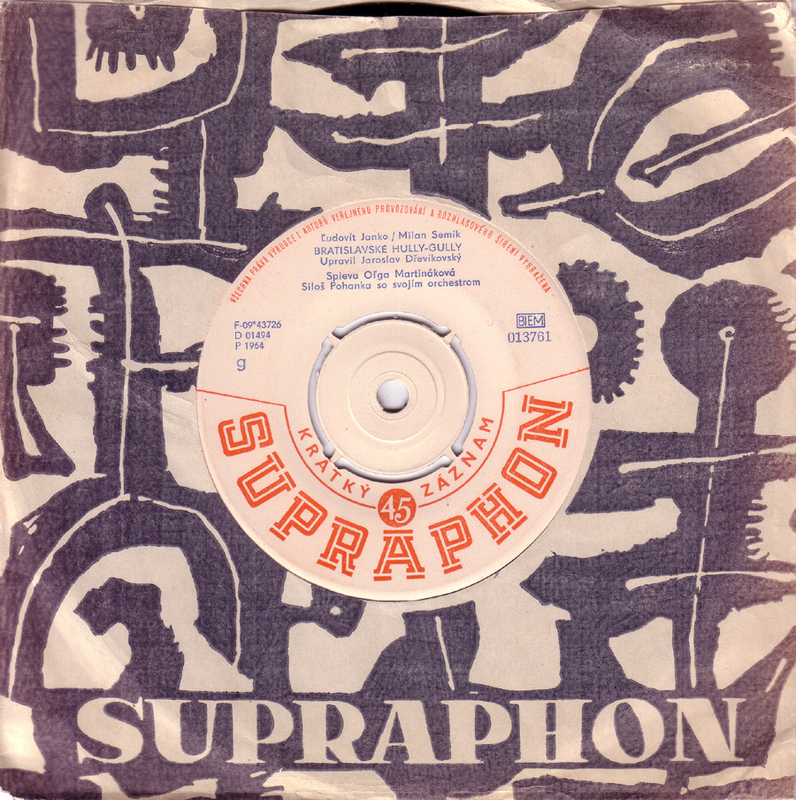 This was probably a souvenir record to commemorate the “International Prague Stamp Exhibition 1962”. 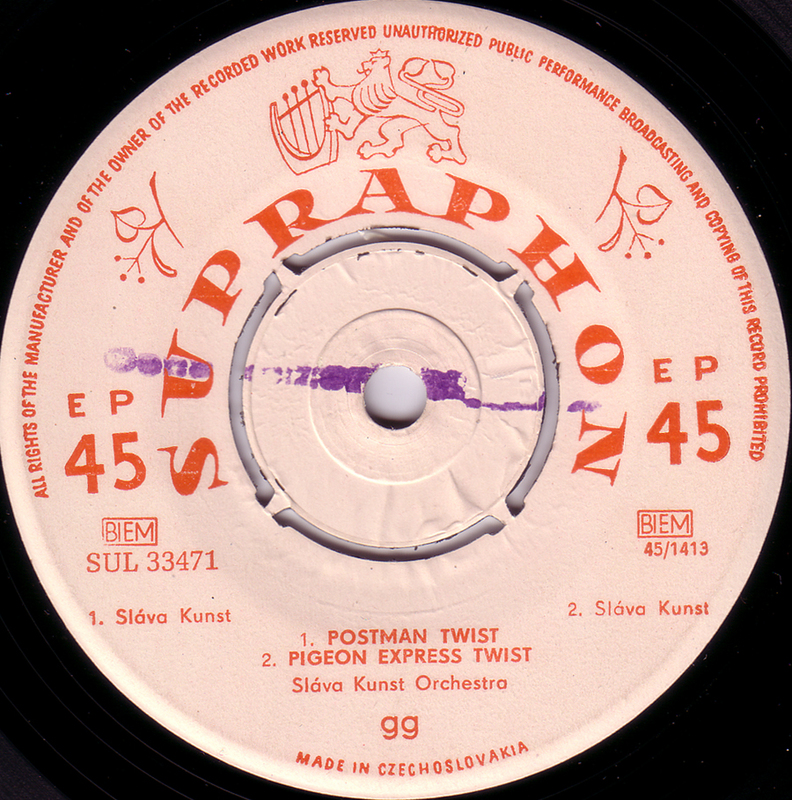 On this EP: two mail-related twist songs, “Postman Twist” and “Pigeon Express Twist”, a instrumental version of the “Babysitter Twist” and a cover-version of “Got a match?” by the Daddy-O`s from 1958. 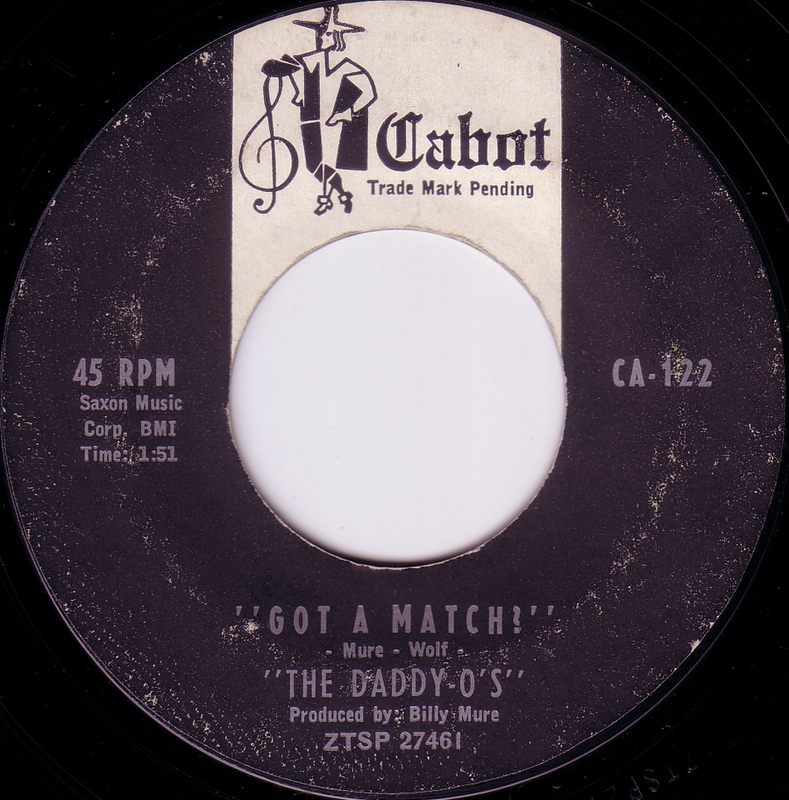 “Got a match?” was written and produced by Billy Mure and went to # 39 on the Billboard charts in 1958. Billy Mure a brilliant guitar-player went on to record a series of albums called “Supersonic Guitars”. It doesn`t mention that Orlando, born Bruno Gigliotti is the youngest brother of Yolanda Gigliotti, better known as Dalida. 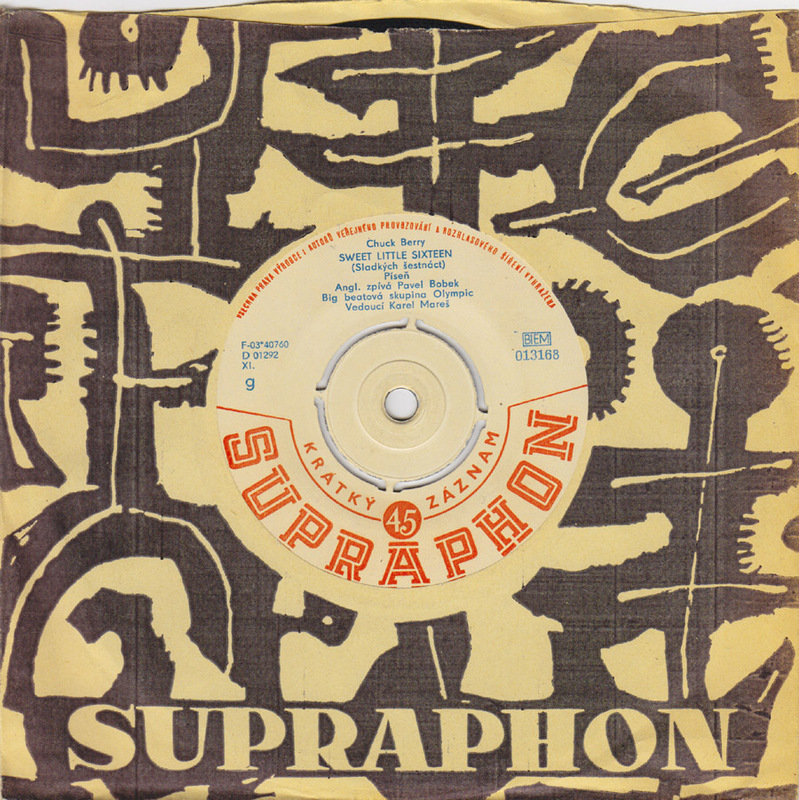 Somehow the Slàva Kunst Orchestra got to back Orlando on “Mustapha”, a 1960 hit in France for Bob Azzam, also for Barclay Records.